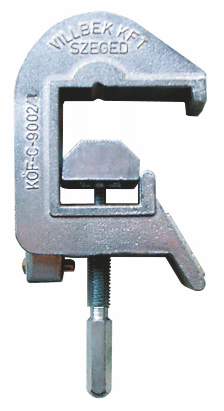 The KÖF-C-9002/1 phase clamp can be built in or can be connected to various operating rods and with cooper wire we can get an earthing/short-circuiting device. The short-circuiting device can be used for short-circuiting of rail or wire structured bus bars of transformer stations and power plants. 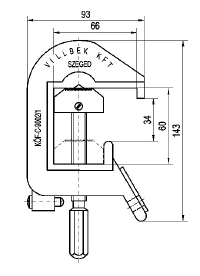 Connecting copper wire to the clamp type KÖF-C-9004, we can get an earthing short-circuitung device.